Winning an Australian Sprintcar Championship has long held the mantle as the pinnacle of achievement in the sport in this country and that reputation remains today. Harking back to 1963 with the first staging of what was then known as the Australian Hot Rod Championship, the event evolved through the Super Modified era of the late 60s before being formally branded the Australian Sprintcar Championship in the 1970s. Over the course of the 56 years that have passed since Bill Willis won that inaugural race at Windsor Speedway in Sydney, only 23 other drivers have emulated his achievement and stood atop the podium to be crowned Australian Sprintcar Champion. 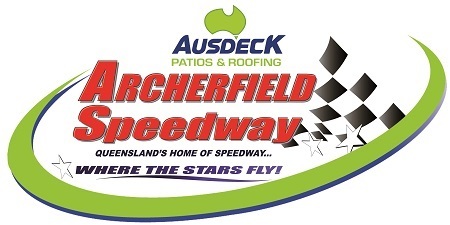 At Ausdeck Patios Archerfield Speedway on January 26 and 27, a field of 63 competitors from across the country will do battle in the 2018/2019 edition of Australias premier Sprintcar event, all of whom will be fixated on joining this elite group of winners and be anointed as Australias Sprintcar supremo for the next 12 months. Presented by BK Trading, the 2018/2019 Australian Sprintcar Championship is shaping as a classic clash in which preparation, determination and execution will prove the three critical elements in achieving the ultimate success. Amongst the entries for the 2018/2019 championship weekend are no less than seven previous winners of the event with an accumulated tally of 23 wins between them, including defending and four-time champion Kerry Madsen. The winningest driver in the field at national championship level is Garry Brazier, the mercurial Sydneysider having snared six titles, the last of which came in 2009. Brooke Tatnell has the next best record with five title victories and is one of only three drivers â€“ along with Madsen and ten-time champion Garry Rush â€“ to have won the event three years in a row. Max Dumesny has three championship trophies in his possession and both David Murcott and James McFadden have two wins apiece, while Robbie Farr has also experienced the heady delights of a championship win. So, if somebody new is to have their named etched into the championship honour board, who will it be? Of the nominated competitors, the only others to have secured a top-three finish in a championship final are Ian Madsen, Jamie Veal and Steven Lines. Madsen created history when he finished second behind his brother in 2017, the only time siblings have ever shared the championship podium. Veal, meanwhile, has finished third on two occasions and will return to Brisbane for the title weekend on the back of his best ever performance at the track when he finished second behind World of Outlaws champion Donny Schatz in a World Series round earlier this month, while South Australian Steven Lines also has two podium results in his resume, improving on his third-place finish in 2013 to finish runner-up behind Murcott in 2015. There is no doubt that this trio are capable of finding themselves in victory lane once the chequer falls on the 40-lap championship finale and have certainly earned their place among the favourites. That leaves more than 50 other competitors also looking to produce something special on the biggest stage of all and emerge as Australias new Sprintcar top gun. Motorsport is an unpredictable beast and there are all manner of circumstances that can produce a result that might come as unexpected, but any such success is ultimately the result of synchronicity between those three key elements: preparation, determination and execution. Some would argue that luck plays a part as well, but good fortune is only of value if the recipient has the wits and wherewithal to take advantage of any opportunity that arises. As such, experience is a valuable asset that can prove the difference between success and failure and, as far as the local contenders are concerned, Luke Oldfield, Peter Lack and Andrew Scheuerle have got it in spades. Not only are they the only Queensland drivers to have won a round of World Series Sprintcars, but between them they share umpteen feature race wins at Archerfield and have, in all likelihood, completed more laps of the Archerfield circuit than the rest of the field combined. Given that Todd Wanless is the only Queensland driver to have ever won an Australian Championship, there could be no greater motivation for this trio than the prospect of emulating the Wanless effort in winning the big show in front of a packed house of hometown fans.